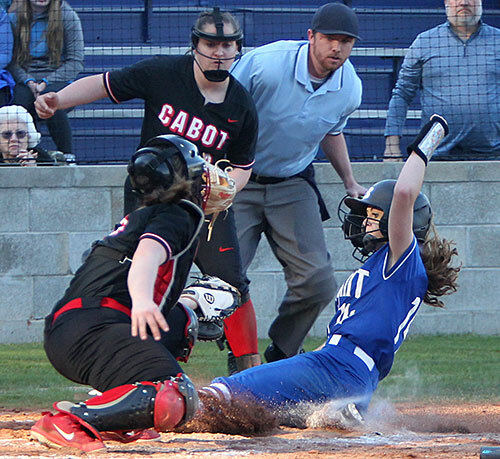 In a battle of teams unbeaten in 6A-Central Conference play so far this season, the Cabot Lady Panthers rode shutout pitching by Layne Smith and a pair of home runs by Riley Walthall to a 5-0 win over the Bryant Lady Hornets on Tuesday night. The loss snapped Bryant’s six-game in-state win streak. 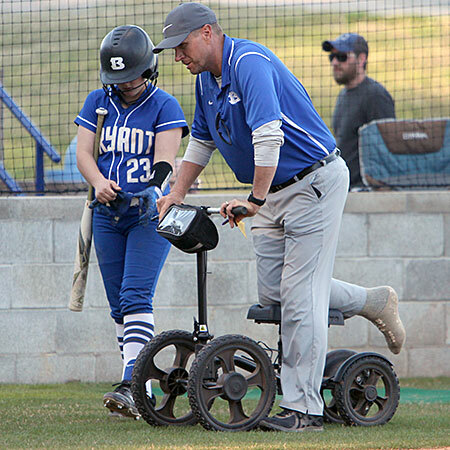 The Lady Hornets fall to 13-4 overall and 4-1 in league play going into a game scheduled for Thursday against another arch-rival, North Little Rock. Cabot improved to 5-0 in league play, 12-1 overall. 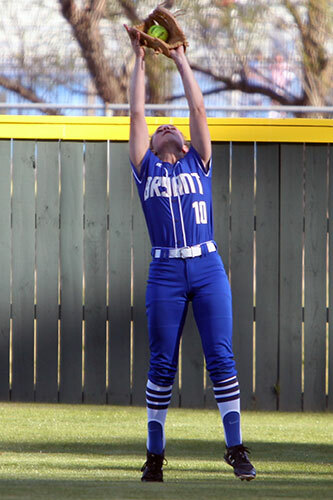 Smith held the Lady Hornets to six singles in the game. She walked no one and struck out no one. She was able to pitch around three errors. 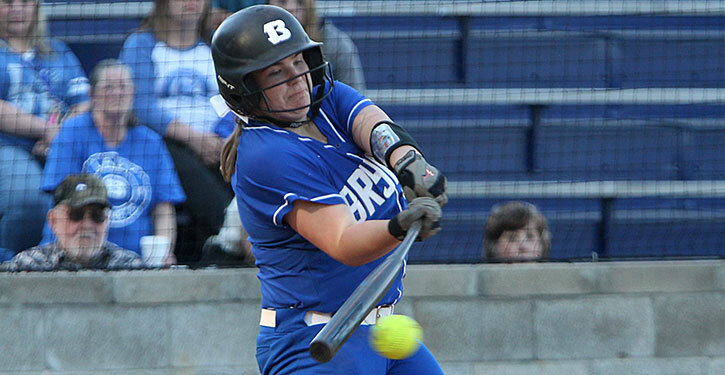 Aly Bowers had two of Bryant’s hits. Walthall belted a two-run blast in the third to increase a 1-0 lead. She cracked another two-run shot in the top of the fourth to set the final score. The initial run came when Walthall led off the game with a walk, took second on a passed ball and third on another. A walk to Grace Neal was followed by a grounder to Alissa Suarez at short. She got the force at second but the relay to first was too late as Aubrey Lee avoided the inning-ending doubleplay as Walthall scored. For Bryant, Gianni Hulett singled with two out in the home first but was stranded. Jaden Potter singled to open the second. She was forced at second on Skylar Reed’s grounder to Bella Herring at second. On a 1-2 pitch, Walthall drilled her first homer to make it 3-0. Bryant made a bid to score in the bottom of the second. Bowers led off with a single, but Cabot turned a doubleplay on Regan Dillon’s grounder to short. Haleigh Beck singled and Bella Herring reached on an error. Joely Calhoun bunted and reached first on an error but when Beck tried to score on the play, she was thrown out at the plate. 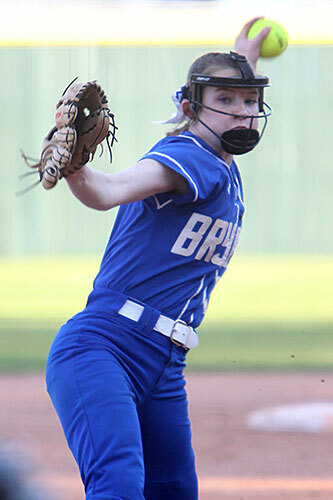 In the third, Bryant’s Maddie Thompson led off with a single. Suarez sacrificed her to second, but she got no further. With one out in the top of the fourth, Reed reached on an error and, on the very next pitch, Walthall homered. Bowers led off the bottom of the fourth with a single. She took second on an error then third on Dillon’s single. Beck tried to get a squeeze bunt down. She moved Avari Allen, running for Dillon, to second but Bowers had to hold at third. Herring followed with a lined shot that was speared by Smith. She whirled and threw to third to double up Bowers. Christine Mefford grounded out to end the threat. Hulett pitched around a single and a one-out walk in the top of the sixth but, in the home half, the Lady Hornets were set down in order. The same thing happened in the bottom of the seventh as Smith closed out the victory by retiring the last 11 batters she faced.